Every crispy flavor has something delicious to offer, but the Cinnamon Crunch and Barbeque were my top picks for straight up snacking. The simple Sea Salt provides insane versatility, too. Use them as croutons, toss in a trail mix, or crush for a crunchy coating or topping. 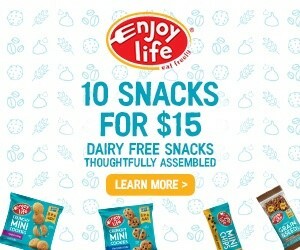 I love that they come in single-serve and multi-serve resealable packs, and that they are such a naturally high-protein, high-fiber, and low-fat alternative to chips. Have you ever made your own roasted chickpeas? They are quite delicious, but it can be hard to get them as perfectly crisp as pre-made versions like Biena Chickpea Snacks. I’ve always been a fan of garbanzo beans, but I’m still leery of many chickpea products and recipes. And I certainly haven’t been won over by the flood of chickpea dessert recipes on the internet. For me, chickpeas must tread lightly in the world of sweet. 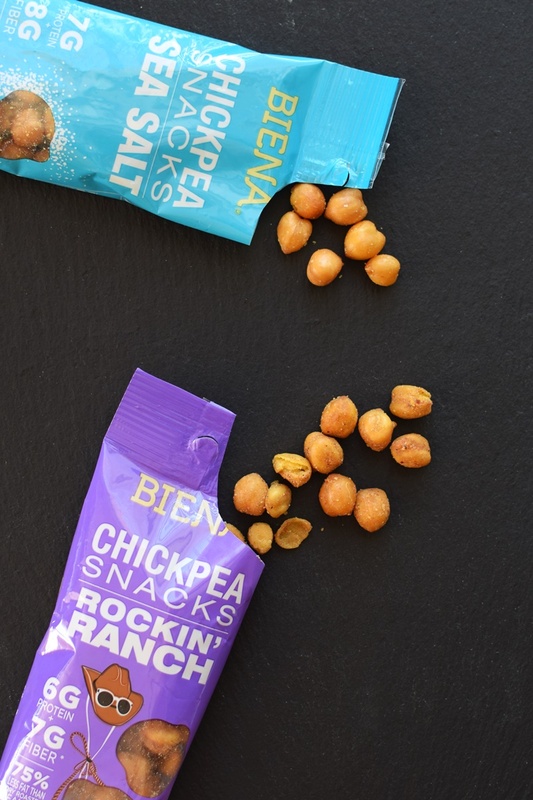 Fortunately, Biena Chickpea Snacks tackle both savory and sweet with complimentary flavors that aren’t trying to be something they’re not. 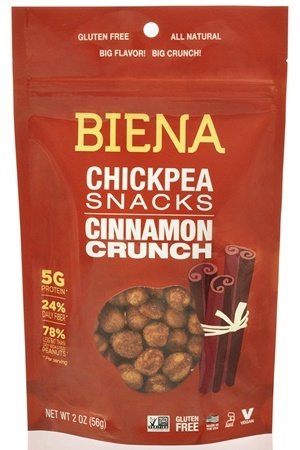 Though they have that delightful crunch we’ve all come to love from chips, Biena Chickpea Snacks are much healthier. 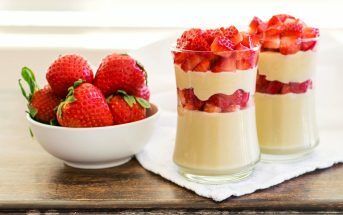 Per 1/4 cup (1 ounce) serving, they have a whopping 5 to 6 grams of protein and 6 grams of fiber. 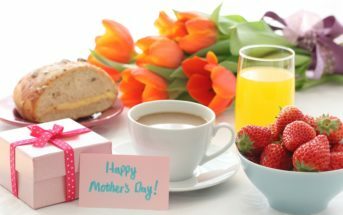 Yet, they have only 120 calories, 0 to 4 grams of sugars, and 3 grams of fat. The ingredients are surprisingly straight forward and wholesome, too. I would refer to these as the “Original” flavor of Biena Chickpea Snacks. They’re light yet hearty, crispy yet not too crunchy, and overall, a great chip replacement. I liked the underlying chickpea flavor, but would love it if they sprinkled on just a touch more sea salt. 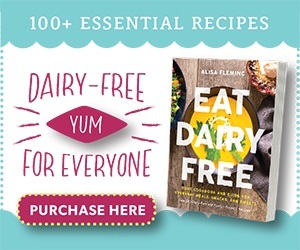 Yes, dairy-free ranch flavoring on a snack! This is definitely a rare find, and these are rockin’ with a touch of spice and a bold flavor. They had just a little too much garlic for me, but I think garlic ranch fans would be in heaven. Unlike the sugary notes of most barbecue-flavored snacks, these are smoky and savory with only the slightest hint of sweetness. The deep flavor was paired with a bite that was notably crunchier than the Sea Salt or Rockin Ranch. In terms of the texture, this flavor was a nice mix of crunchy and crispy. 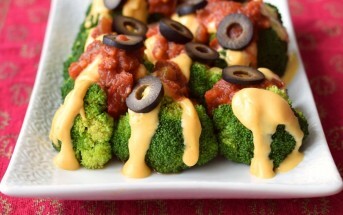 Each bite was warm and flavorful, with a savory Tex-Mex heat that sneaks up on you. These are sweetly addictive! They’re crispy, crunchy and a bit more crumbly than the other flavors. But the messy coating offered a “cinnamon toast” reward with only a slight beany aftertaste that I didn’t find off-putting. This is the only non-vegan flavor. It’s good, with a very nice balance of sweet an savory, crispy and crunchy. The nice little burst of honey does make this flavor taste a little like a treat, but still snack-worthy. 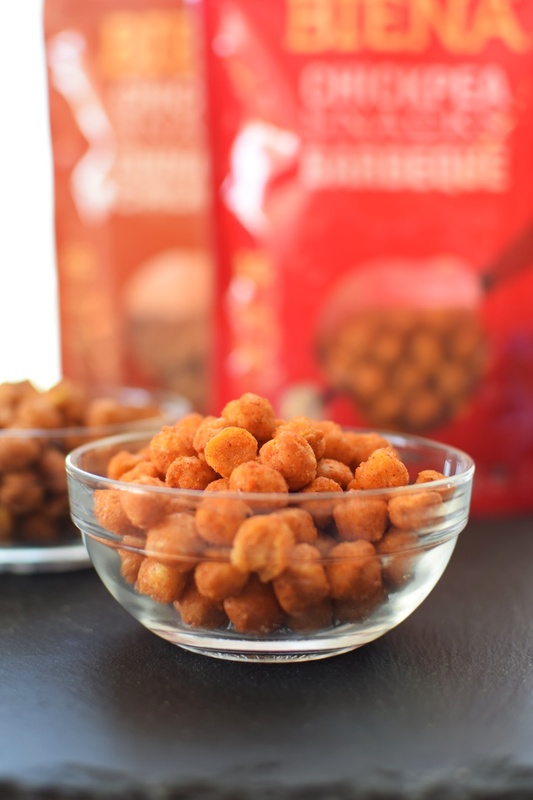 Certifications: Biena Chickpea Snacks are Certified Kosher Parve and Non-GMO Verified. They’re also labeled as gluten free and vegan, but I do not believe those are certifications. Dietary Notes: By ingredients, Biena Chickpea Snacks are dairy-free / non-dairy, egg-free, gluten-free, nut-free, peanut-free, soy-free, plant-based, and vegetarian. Most varieties are vegan, but one flavor uses honey. Nonetheless, always read the ingredient statement and check with the company on their manufacturing processes for all varieties if potential allergen cross-contamination is an issue for you. Processes and labeling are subject to change at any time for any company / product. 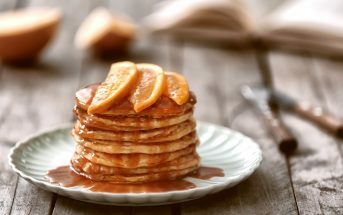 For More Product Information: Visit the Biena Foods website at bienafoods.com.